We are family owned & operated, serving southwest Kansas for the 20+ years. We have dedicated our lives to serving you, the customer. We want you to have the best food and dining experience every time you come through our doors. 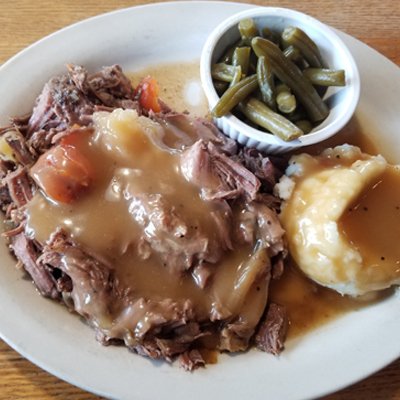 We offer classic dinner options such as Mama's Meatloaf and Jennie Mae's Pot Roast. Our signature dish is our Hand Breaded, deep-fried Papa's Chicken Fried Steak served with our Homemade Mashed Potatoes with our Creamy Gravy and Buttered Green Beans. 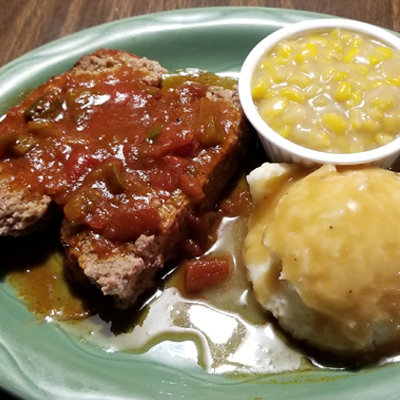 We have a combined 101 years in the restaurant business and even more years cooking good home-style family meals going back to when great-grandma and great-grandpa settled in Southwest Kansas in the early 1900's. Come in and see us! Fresh cut vegetables, no frozen meats, ccw, and rolls made from scratch daily...actually, everything is made fresh daily. Any fresher we’ll be a farm to plate concept. Healthy – we offer gluten free options. Stewards of the environment – our environmental stewardship starts from composing all our scraps to using only compostable consumer packaging. NO BULL! JUST GREAT PRICES, GREAT SELECTION, AND GREAT SERVICE! Cattleman's Cafe has a mission to enrich the lives of our guests, our employees, and investors. We do this by being the superb and most recognized brand of cafe's. Being superb means providing high-quality food with convenient service that is healthy and delicious in a clean environment. In addition to being conscious about our product and customers, we are also stewards of the environment and a giver to the community. Please choose the location you want to order from.